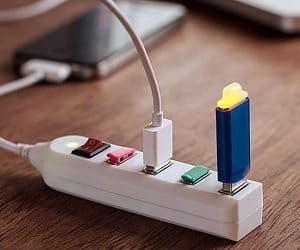 If you have too many devices and not enough ports then you need this 4-port USB power strip! There's no software required so simply plug and play to use. It runs at 480 mbps and includes a 4 foot power cord.